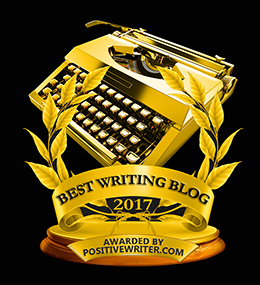 NOTE: This is a guest post from award-winning author, Janice Hardy. I’m fortunate that plotting is a lot of fun for me. Figuring out goals and tough choices for my characters is one of my favorite aspects of writing, and I love putting my characters in impossible situations just to see how they’ll get out if it. Not every writer has as much fun potting, however, so if you’re a writer who finds plotting more chore than joyride, I’ve discovered a few tricks to make it easier. And hopefully, a little bit more fun. Some stories revolve around a major problem that must be solved or else. To solve this big problem, the protagonist must first overcome a series of smaller problems along the way. When we look at what the protagonist has to do at each step, the plot emerges. Most of the major turning points of the plot will be steps to solving this big problem, and they’ll form a logical path from start to finish. To plot a problem-centric story, start with your core conflict. Think about what caused it, what it’s doing to the main characters and story world, and what has to be done to fix it. Let the problems guide you to your plot and follow the steps that take your characters from the page one problem all the way to the resolution on the final page. Great for: Writers who like to focus on what happens in the story, and those who find it easier to create the situations of the story first. It’s also good for plot-focused stories where the events are more important than the character journey, such as thrillers or mysteries. Since a character’s choices drive the plot, focusing on what she wants and why will lead you through your story. These plots often focus more on how a character grows and changes, and the choices that shape those changes. The major turning points will revolve around your character’s needs and desires, hopes and dreams, and what she does to achieve those needs. To follow your character, start with the one thing your protagonist wants or needs and think about the things she will (or won’t) do to meet that need. What impossible choices will she face? What will push her to her breaking point? What must she do that she’s never been brave enough to do before? Great for: Character-driven writers and stories where the focus is on the characters and how they grow. It’s also good for stories with strong character arcs that illustrate themes or explore human nature. If plotting out an entire novel seems daunting, try taking it in smaller chucks. Plots forms arcs—beginning > middle > ending. The steps of the plot follow this same structure, so plotting your novel one small arc at a time allows you to move forward without having to figure out what happens farther into the novel. If you think about your novel in small story arcs, start with your opening scene (or favorite moment–no one says you have to plot in order). Figure out where that leads and how that problem is solved. Once your protagonist finishes that arc, take the next problem and do the same thing. Look at your various arcs and determine how they link together to tell your larger tale. Great for: Pantsers who don’t want to know how everything works out ahead of time. It’s also good for writers who imagine their stories in vignettes and prefer to write the scenes that excite them the most first. Some plots exist solely to answer a question, such as, “Who killed the baker?” Exploring the story questions of who, how, and why create the key moments of the plot. The plot exists to reveal a secret or find a truth, and the characters work with–and against–each other to that end. If you have a mystery plot, start with the mystery and decide what questions the protagonist will have to ask to solve that mystery. Who will she need to talk to? Where will she need to go? What lies might she encounter? What half-truths might distract her? Great for: Writers who enjoy the puzzle side of plotting, and who want to keep readers in the dark as long as possible. It’s also good for genres such as mysteries or suspense, where the focus in on the mystery more than the characters. For novels that are all about the emotions (such as romances), the plot focuses on the relationships and how the characters interact. The key turning points of the plot will be emotional ones, usually denoting important steps in that relationship or internal growth (or lack thereof). If you have an emotional story, start with your characters and how they feel, and explore how their emotions will change. Who are the people contributing to their lives? How do those people affect their emotional states? What emotion do they wish to get rid of? How do they want to feel? Great for: Writers who want to explore relationships and how people interact. It’s also good for romances or any story that seeks to explore an emotional truth. There’s no right way to write, so don’t worry if your process follows a different path than most. If an aspect of a story appeals to you and inspires you to write that story, let it guide you to the perfect plot the way you like to write. Looking for tips on plotting your novel? Check out my book, Planning Your Novel: Ideas and Structure, a series of self-guided workshops that help you develop your idea into a novel. 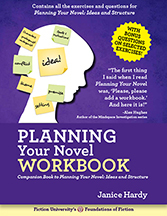 For a hands-on approach, try my Planning Your Novel Workbook. Revising your novel? Check out my newest book, Revising Your Novel: First Draft to Finished Draft. Perfect! Just in time for NaNoWriMo! I was recovering from spine surgery last year (my first NaNo) and barely managed 15,000 words. With a plan and an outline this year, I hope to reach the goal of 50,000 and maybe more — towards turning last year’s idea into this year’s novel! With this sort of quality input, how can I fail? I’m a plotter, but these tips are helpful to me, too, to help me watch my turning points. Interesting. It seems to me that following the character and following the emotions are super closely related -or at least can be. Hi, Janice! Thanks for your plotting suggestions. I’m mid-revision and struggling with revising the plot of the second act, so they couldn’t be more timely. I found you through Jennifer Blanchard’s writing group on facebook. The extent of my formal studies of structure and story planning were in my college screenwriting classes and most of those focused more on how to plan your stories to fit the time constraints of a tv format or the rigid length limits of film scripts. Story structure was still there but was a little less of a focus than one would think. Now that I’m writing more than just film scripts this has become painfully evident as people ask me questions about my novel first drafts that I can’t answer or tell me that I shouldn’t be doing something that I’ve done but I don’t see why (or why it doesn’t work.) Admittedly, I am finding myself overwhelmed. Many things I think I do intuitively. I understand story on a fundamental level. I’ve watched thousands of films and had to write dozens of in depth break-downs of them, in that regard. But in my novel writing I don’t write outlines so much as a list of my key points leading up to the resolution. So I know where everything is going, I just leave it a little more …open, I guess? My recently completed fantasy first draft was intended as a single book, so the story was planned (in as much as I do) and written with that in mind but I had more technical writers telling me it was too long. They convinced me to break it into three shorter books, but the story wasn’t planned with three underlying sub-arcs to make three stand-alone books… which is where I now sit. Mired in the confusions of technical craft that bewilders me and trying not to be overwhelmed too much as I read blogs like yours, Jennifer’s, KM Weiland’s, etc. in the hope I can determine how to manage that all. One book, vs three and which hatchet I’ll have to pick up to adjust for that decision. Great concise information. Looking forward to more informative posts. I didn’t realize that I DO enjoy plotting until I did the (pressure-free) “practice plot” from an earlier blog-tour post. I was a database programmer for decades, and enjoyed it even under pressure. Hoping I’ll get to that point with novel plotting. The two are actually similar in many ways. Programming is MUCH easier! One nice thing is that, generally, the computer will let you know immediately when you make a mistake and let you fix it – rather than sailing your creation into the trash and writing a bad review! Your opening paragraph made me smile. Plotting a chore? How about like jumping off a cliff, landing on rocks below, and surviving to relive it in your mind over and over? Maybe I need therapy to dismantle my fear of plotting. Until I save up for that, I will gladly try your five tips. Thanks, Janice! Giving us a range of different filters to view our work through is very helpful. Thank you once again. Would love to see some examples of each of these 5 types included. My challenge with my novel is that I’m a #2-type plotter, but I’m writing a mystery, which really requires a #4-type plot plan. This means I have a ton of character beats describing how I want the arcs to go, but all I have for the “plot” part is literally notes that say “plot stuff here.” This disconnect is throwing me for a loop in terms of making sure the mystery works and is entertaining but also fitting it in with how I envision the character arcs evolving. I’m not sure if this is a unique issue or something that all writers face, but I’m struggling with how to shift my mindset. WOW. I’m not sure why this was so hard for me to coalesce myself, but this is exactly what I needed to structure everything. Thank you so much! This is going to change how I’m approaching my plot — but not, I don’t think, my general idea and character arcs. Turns out I’m already on the right track, I just needed a bit more structure. I tend to follow individual arcs or follow the emotions. I’m a planster at heart, so knowing too much too soon is a buzz-kill when I’m writing. It might be interesting to try the other approaches, though.